So yes, school just got out for some and will be out soon for others, so I know that going back to school is the last thing that you want to think of, but there are some great deals out there if you take the time to look. If you’re heading off to college this coming fall and you haven’t bought a laptop (an essential item at college), you might want to check out this deal from Microsoft. 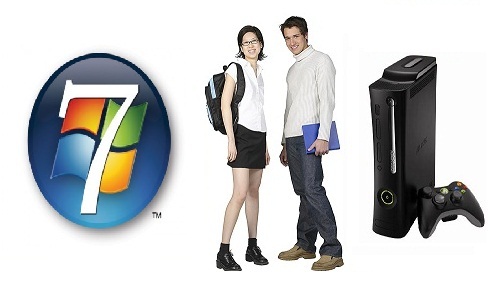 Starting today, Sunday, May 22, any student that buys a Windows 7 PC that costs $699 or more will receive a free Xbox 360 to haul off to school with them! You can buy any PC that you want as long as it is priced at $699 or more, but Microsoft recommends the Dell Inspiron 14r or the Samsung Series 9 to students. If you want to take advantage of this awesome deal online, you will need to provide an .edu email address, and if you want to make your purchase in a store, you will need to bring a student ID. “While a Windows 7 PC is perfect for staying connected to your social networks, surfing the web, gaming and streaming videos, music and more, when you add the power of Xbox 360, you’ve got a world of entertainment at your fingertips,” Microsoft said in a blog post. Although Microsoft said that this deal will last until September 3, they did add the phrase “or until supplies last.” I think that this is an incredible deal, so if you’re interested, I would take advantage of the savings as soon as possible. If you’re in the market for a laptop and an Xbox 360, this is a way to kill two birds with one stone. They also mentioned that this offer will be coming to Canada and France soon. Recently Microsoft has been having some minor issues with their gaming console. Just Thursday Microsoft announced that they would be replacing a small but undisclosed number of older Xbox 360 consoles due to some kind of disc issue that was tied to the console’s ability to block counterfeit games. Certainly they have not been having as many issues as Sony’s PlayStation Network has been experiencing, but they have been having a few minor glitches here and there. On Friday night Users of Windows Phone 7 could not access Microsoft’s Xbox Live services and all token-based Xbox Live services were unavailable. Despite these minor issues, it does not take away from the awesome deal that Microsoft is offering. If this sounds like something that you would be interested in, then you should certainly look into it. They also mentioned that this offer will be coming to Canada and France soon.